The nares and nasolabial grooves of P. shermani. VERTEBRATE OLFACTORY ORGANS Our goal was to investigate the evolution of the molecular basis of chemoreception in caudate amphibians. The organizational complexity of olfactory organs varies across vertebrates. In fish, all odorants are detected by a single olfactory organ while a separate olfactory organ, the accessory olfactory or vomeronasal organ (VNO), evolved in ancestral tetrapods. Ancestral amphibians were therefore the first group to possess these two olfactory systems, one mediated by the main olfactory epithelium (MOE) and the other by the vomeronasal organ (VNO). Although secondary losses of the VNO have occurred, functional VNOs are present in many extant vertebrate taxa and are necessary for prey detection and social interactions. 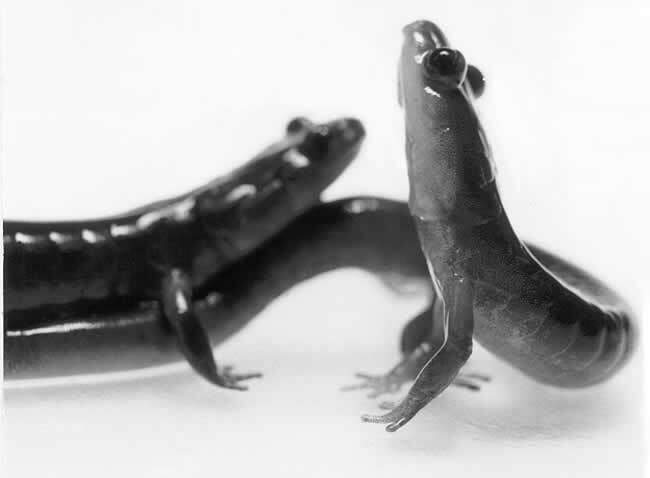 One of the motivations for this study was to determine which families of receptors may be mediating the response to courtship pheromones in P. shermani salamanders. Our primary goal was to identify and isolate classes of G-protein-coupled receptors (and associated G proteins) that are expressed in the P. shermani MOE and VNO. We also wanted to investigate the expression of a VNO-specific ion channel that is important in pheromone signal transduction in mammals, but whose expression has not been determined outside of mammals: transient receptor potential cation channel, subfamily C, member 2 (trpc2) (Liman et al. 1999; Grus and Zhang 2009). RECEPTOR CHARACTERIZATION We focused on two families of G-protein-coupled receptors that are commonly expressed in either the vomeronasal organ (V2Rs) or main olfactory epethelia (ORs). First, we used degenerate PCR on cDNA from olfactory and vomeronasal tissue to isolate these two families. Analyses of the sequences showed that ORs were 97-99% similar and all belonged to the class II family of vertebrate ORs. 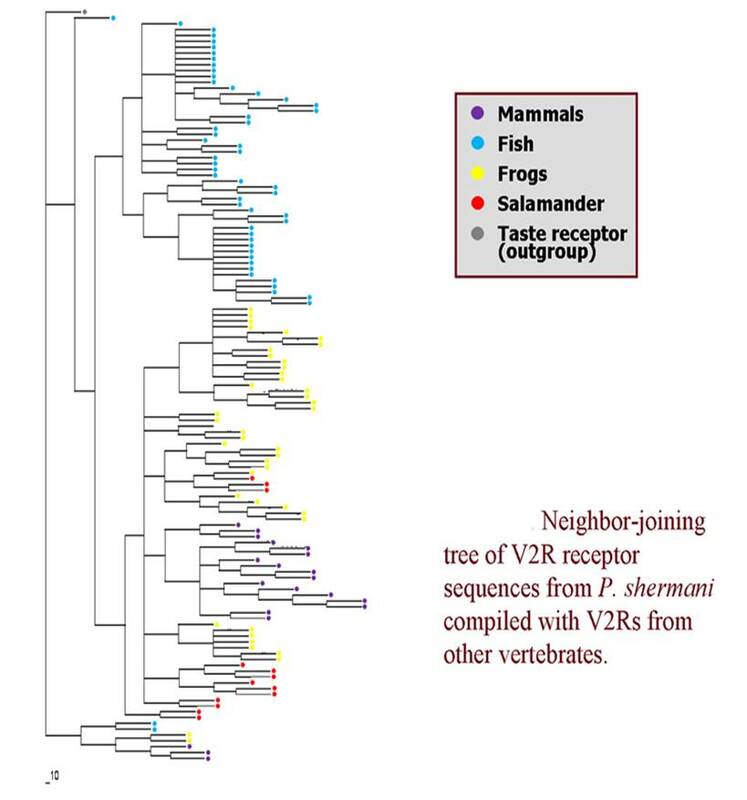 Our sequence analyses of the V2Rs showed that the V2R family appears to be as diverse in Plethodon as in other vertebrates. In addition, we demonstrated the expression of other members of the G-protein-coupled receptor signal cascade. We amplified fragments of specific G proteins that are coexpressed with the OR and V2R receptor families, Golf (coexpressed with ORs) and Gao (coexpressed with V2Rs). IN SITU HYBRIDIZATION We localized the expression of V2Rs, Gao, trpc2, and Golf in the olfactory and vomeronasal epithelia with in situ hybridization. 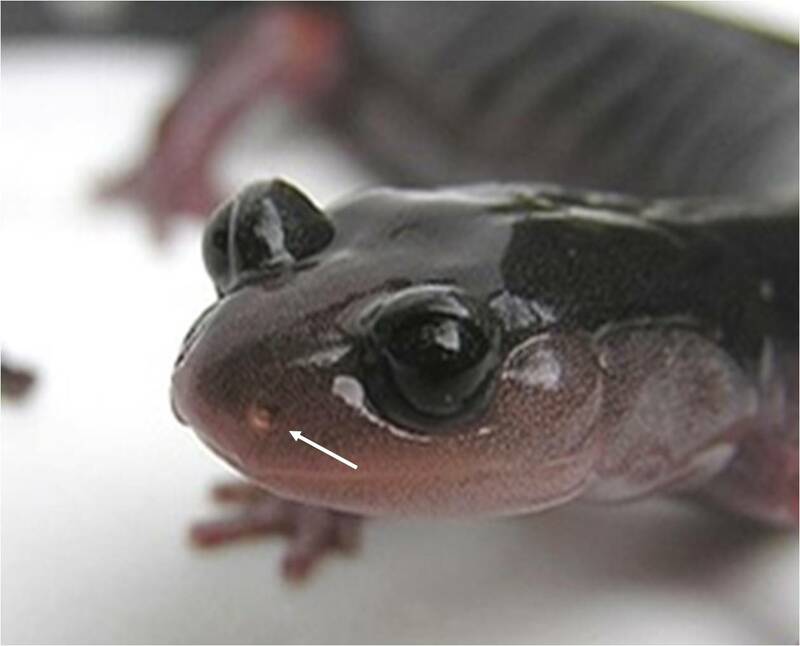 Our work indicates that the salamander olfactory system contains many elements of olfactory signal transduction identified in other vertebrates. Golf is expressed solely in the MOE while trpc2, Gao and V2R expression was only expressed in the VNO. Expression of V2Rs in the nasal cavity P. shermani. 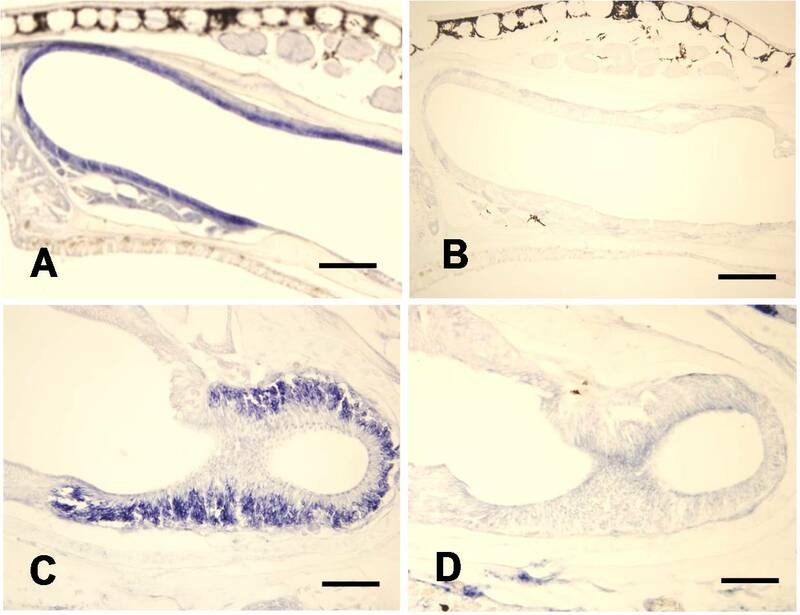 Sections of the nasal cavity were hybridized with DIG-labled antisense probes of V2Rs. Control sections were hybridized with sense probes.